1. 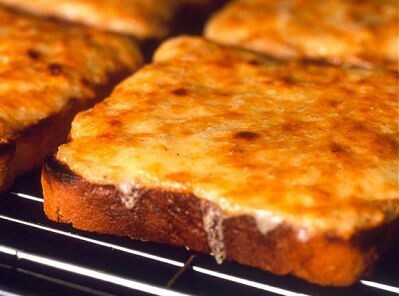 Lightly toast one side of the bread slices under a grill. 2. Remove and Flip them over and spread the white sauce on the un-toasted sides. 3. Place them under the grill for 2 minutes. Feel free to comment or share your thoughts on this Bread Toast Recipe from Awesome Cuisine.